Wade mentor and entrepreneur Jodie Imam recently caught up with Cara Waters of the Bold Businesses podcast for a candid discussion about the parts of startup life that don’t often get air time. Here are the highlights. 1. Won’t someone steal my idea? 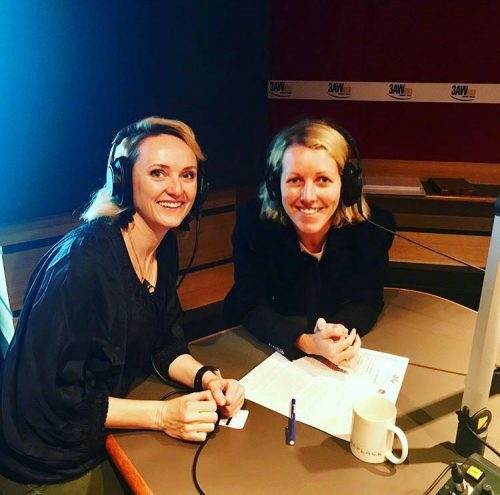 Jodie Imam (left) & presenter Cara Waters (right) recording podcast episode in the studio. When it comes to starting something, there’s a popular narrative of success that we can be easily seduced by. For Jodie, this isn’t a true reflection of the real struggles entrepreneurs face. The peaks and troughs of the marathon that is the startup journey are tough, and Jodie knows the feeling all too well. Adapted from S2EP2 of Bold Businesses podcast by Fairfax Media.